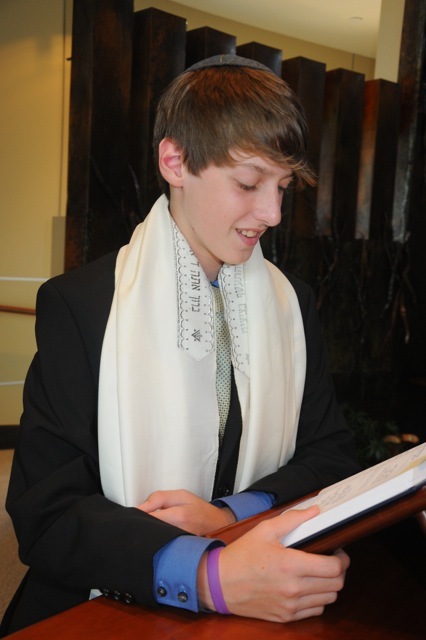 Reid just had his Bar Mitzvah! Sure, he wanted to have a big party, but he also wanted to give back, too. He had heard of Team Summer through school and wanted to help. Unfortunately, Reid is all too familiar with cancer. His dad has been battling it for a year and a half. What Reid decided to do was sell Team Summer wristbands to all his guests at his Bar Mitzvah! See all the purple wristbands in the pictures?! Reid raised $678 for Team Summer! Reid, we appreciate your heart! You are a beautiful example of kids helping kids!